Had one of THOSE rides this morning. You know when you just feel so connected to your horse and it’s like they’re reading your mind. I concentrated really hard on what we did in my last lesson (first proper opportunity to do so). 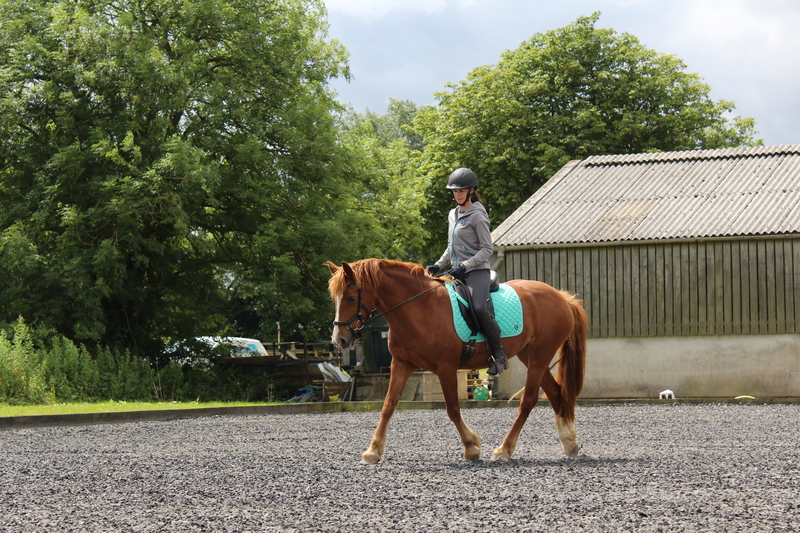 In walk, one handed or no rein contact, we just flowed from one circle to the next using just my weight. I know I’ve said it many times but Saf really is the best teacher I could wish for, she may as well be telling me in plain English what I’m doing right or wrong. Did a little bit of trot work on large circles too, aiming to keep the weight aids going (but much harder in rising trot!) 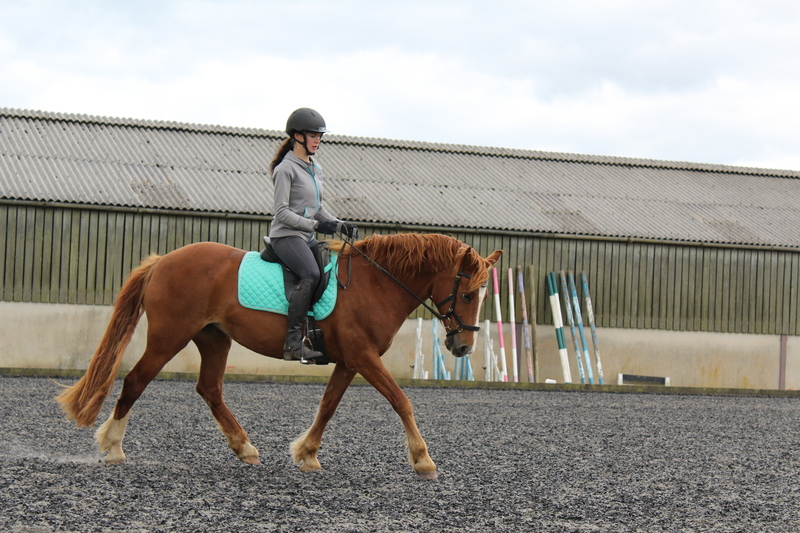 Saf now seems to find right rein easier, despite being a left bended horse. I suspect this may be to do with my right leg and hip being squashed up into the hip socket due to Saf’s barrel swinging to the right when doing a left circle. Plus I can hula hoop better to the right than to the left. Right I’m off to do some more hula hooping! 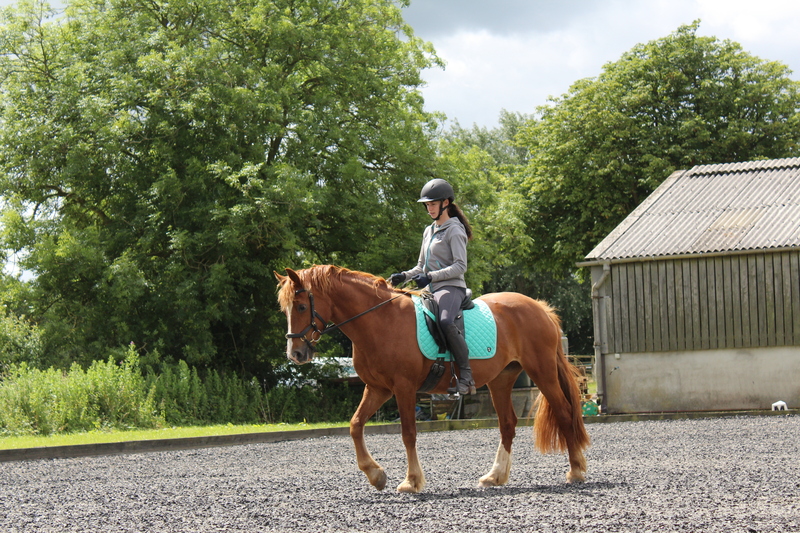 This entry was posted in Rider position, Training / Schooling and tagged bending, biomechanics, circles, classical, dressage, equestrian, horse, pony, riding, riding position, saffron, schooling, training on April 5, 2016 by Emma. Are we getting the hang of this yet? We’ve been doing a lot of work in the dark during the week, but today Claire and Andy kindly took some photos of our in hand work. Saf had a bit of a fright just before we started because of shooting in the area, so took a while to calm down, so we weren’t at our best. Got some good work done regardless, but sometimes it feels like an uphill battle. Carrying on with bending and lowering the head (which has a calming effect) at halt. Then correct bend on a small circle, progressing to a larger circle (as a hint towards lungeing), and lastly a little work on a straight line. 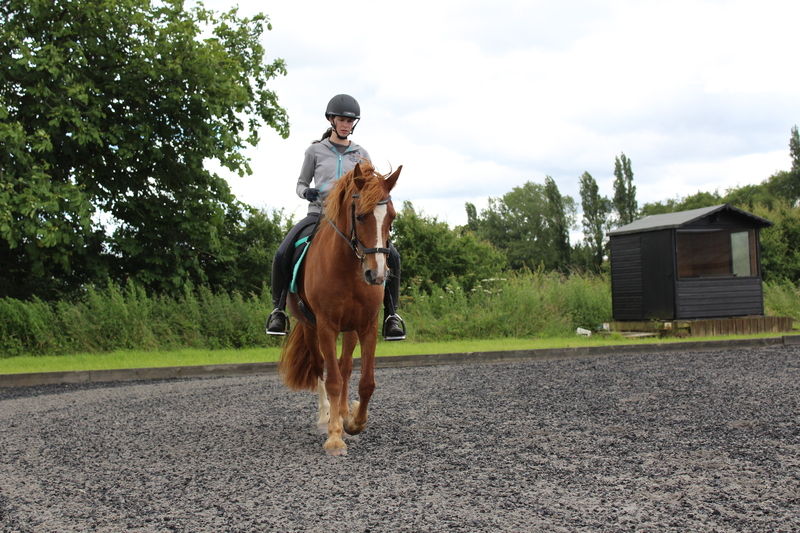 This entry was posted in In-hand and tagged circles, classical, dressage, equestrian, groundwork, horse, inhand, training, welsh cob on January 18, 2016 by Emma.